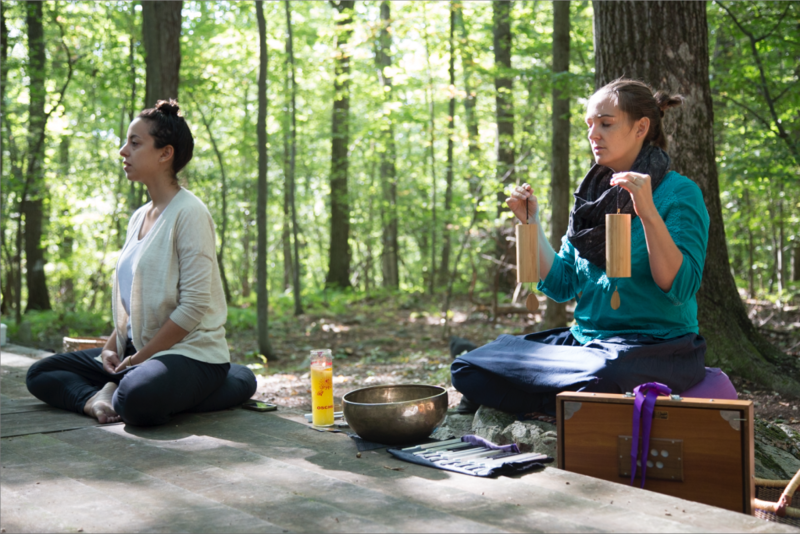 Join Sound Healing facilitator Stephanie Rooker and Yoga teacher Sarah Capua for this practice of sound, movement, and presence exploring the space of deep listening. In this practice, simple movement is intricately woven with breath, visualization, and intention to focus the mind in presence. Students are held in a container of intuitive, improvisational sound, drawing them inward in self-exploration and outward to join in community. Sound Body Yoga aims to access the whole of ourselves and experience the wealth of inner support available when we are living in connection to our breath, body, and voice.